United WestLabs Inc. (UWL, United Outreach Solutions, UOS, and Affiliates) is a healthcare service company that implements and manages turn-key hospital-based laboratory Outreach Programs. Our Programs utilize the Hospital's existing inpatient laboratory during "non-peak" periods to provide laboratory services to physicians and healthcare providers within the market area. Our proven and experienced staff will handle the pre-analytical and post-analytical functions, as well as all the other non-laboratory outreach related functions to build and maintain a viable and profitable service offering for a Hospital's physician market. The management team implemented its first hospital-based laboratory Program over fifteen years ago and has developed and refined a successful proprietary business model that has enabled participating hospitals to realize substantial profits from their outreach laboratory testing market. 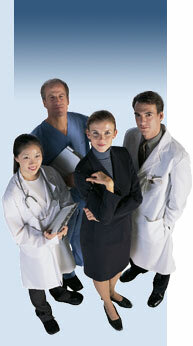 Let the United WestLabs team build your hospital’s outreach business. EMPLOYMENT WARNING: It has come to our attention that persons not affiliated with United WestLabs have been advertising job opportunities and using our company name. Please note that all legitimate contacts to applicants for our openings will be made via telephone, and the interviews will be conducted in person. We do not conduct interviews via e-mails or instant messaging.